Assam: Widow commits suicide for non-inclusion of name in draft NRC! Sensation prevails in Mangaldai town under Darrang district of Assam following death of a widow who committed suicide allegedly due to trauma developed owing to non-inclusion of her name in the final draft NRC. It may be mentioned that in the final draft of the National Register of Citizens (NRC) which was published on July 30, 2018 names of more than 40 lakh people were missing. The widow, who committed suicide by setting herself on fire on Friday, was a mother of three wards. According to police, on Friday morning, the body of 59-year-old Sandhya Chakravarty was recovered from the bathroom of her residence with serious burn injuries. She had been staying in the residence of her father late Dhiren Chakravarty. Sandhya Chakravarty was immediately rushed to the hospital where she was declared dead. The police, till filing of this report, are yet to ascertain the actual cause of the suicide. However, her son claimed before the media that she had been under deep embarrassment for the last couple of months for missing of her name from the final draft of NRC, which led her to commit suicide. Also read:Udalguri teacher commits suicide for non-inclusion of name in draft NRC! Earlier, in October last year, a suicide case of a person, suspected to be related to fear over his name not being included in the final draft National Register of Citizens (NRC), a school teacher of Udalguri ended his life. 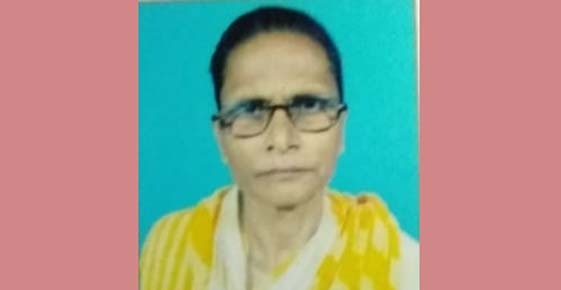 According to reports, 59-year-old Bimal Chandra Ghosh, who was working as a liaison officer of Hatigarh NRC Seva Kendra committed suicide at a rented railway quarter at Jalukbari locality of Tangla at about 4.30 pm on October 7, 2018.